This pack has assorted colours and sizes with crystal spheres, prisms and mixed pendants. 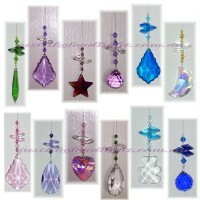 we make these in popular colours and styles with fairies, butterflies, dragonflies, angels, dolphins and so on. 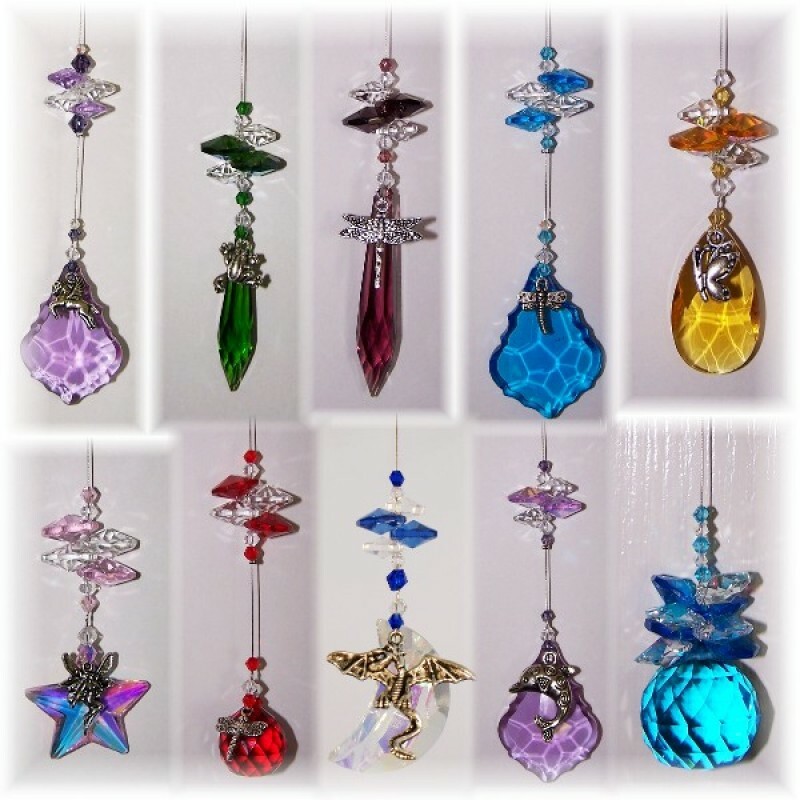 each suncatcher has 1 large pendant with a charm, and is strung with tiger tail wire and a mixture of 4 octagon crystals and matching beads. This is a budget priced pack at just $3.50 each, ideal for market sellers, gift stores or just put these away for those little presents you need throughout the year. PLEASE NOTE*** No 2 packs will be the same. The photo is an example of 1 pack. 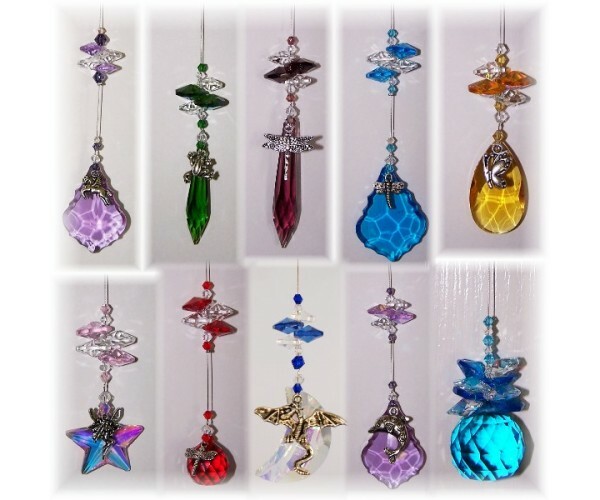 We will mix up the colours and designs to make a nice selection for eack order that we pack.